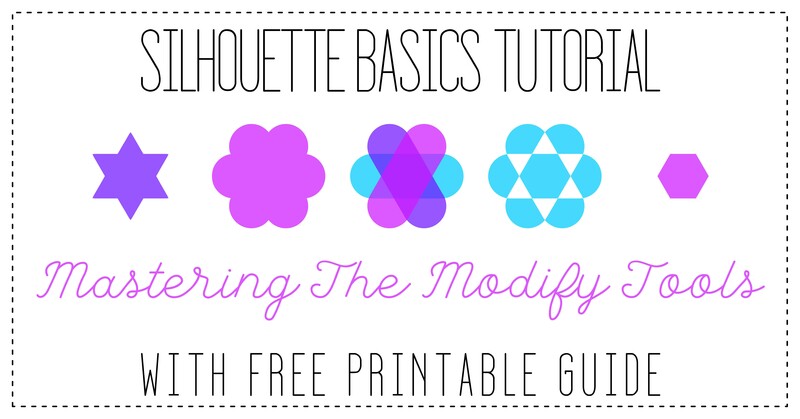 Below are links to the tutorials that I have written for the Silhouette UK blog. Click on the picture and it will open the tutorial in a new window. 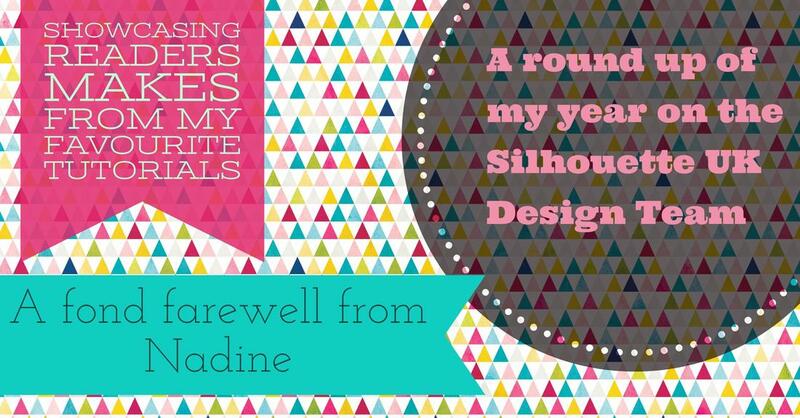 A round up of my favourite projects from my year on the Silhouette UK Design Team. I also showcase photos from readers who have made their own projects based on my tutorials. A step-by-step tutorial and free pop up slider card cut file. Uses just one piece of A4 card with print and cut, or you can cut each component from different scrapbook papers if you'd rather. Mock ups are a great way to envisage your final product before you start cutting and making. I use them as part of my design process, but they are especially useful for sellers. When working with clients, custom designs can be honed and agreed upfront. Time and materials can also be saved by using mock ups to illustrate alternative colours / patterns when listing your products on selling sites. 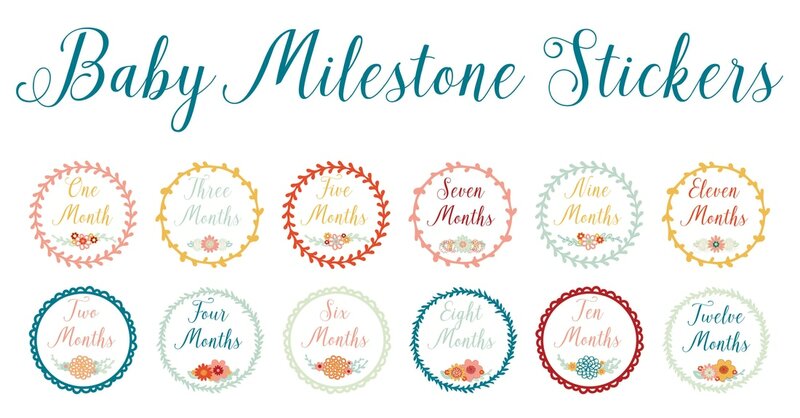 Monthly milestone stickers are a great photo prop to record a baby's growth. I made all these designs with just three files from the Silhouette Design Store: the Yellow Daisy font, a leafy wreath set and a set of flowers and leaves. I'm excited to share with you my favourite top tip available on the Silhouette Studio® Designer Edition to speedily transfer the properties from one shape to the next. 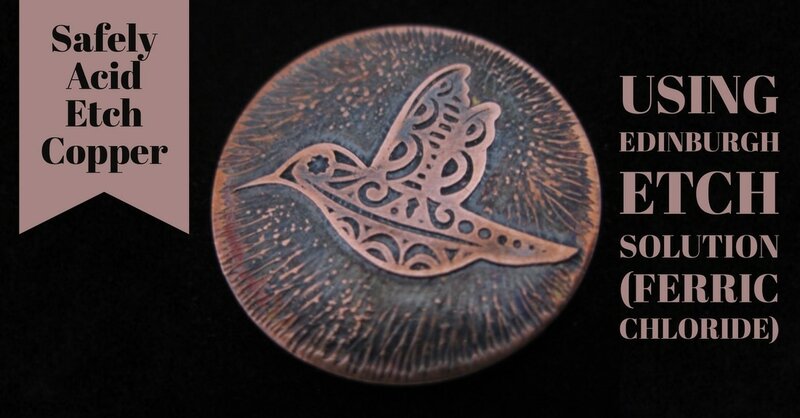 Two techniques for etching sterling silver and fine silver, including fired silver metal clay (PMC). Traditionally nitric acid is used to etch silver, but this is a dangerous and toxic chemical and I for one am not comfortable using it! Instead, I use silver nitrate when electro etching and ferric nitrate instead of the Edinburgh Etch recipe. 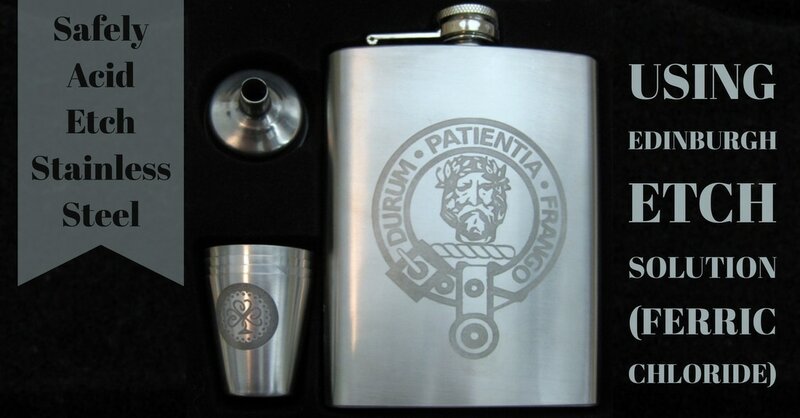 Another metal etching tutorial, today it's for a stainless steel hipflask that I made for my dad with our clan crest. I used exactly the same recipe as in the Copper Edinburgh Etch tutorial, but just keep this solution in a different tub. 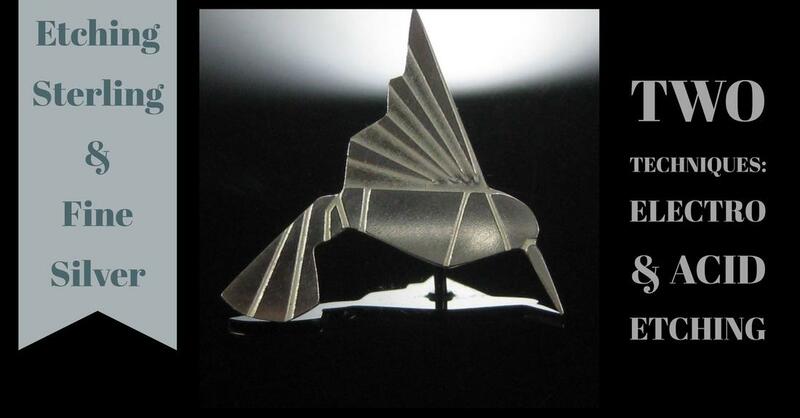 As the technique is the same, I figured that I could share some hints and tips for selecting and modifying designs for all types of etching today. Another copper etching tutorial, this time using a solution called Edinburgh Etch, rather than salt-water electro etching which I shared last time. This method is also safe and effective and again costs under £10 in materials. Edinburgh Etch adds citric acid to Ferric Chloride to make a faster, cleaner and longer lasting etchant. A tutorial showing you how etch copper using just salt-water and some household batteries. The resist is vinyl cut from the SIlhouette Cameo. 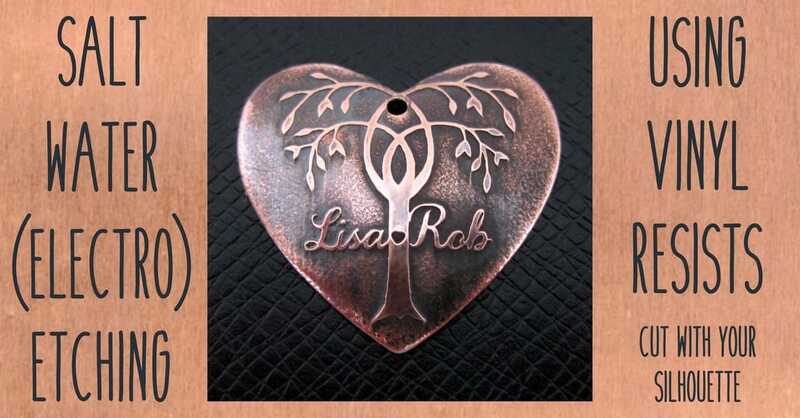 I made a keyring for lovely Lisa from Silhouette and a Victorian style Christmas tree decoration. Today I learnt how to make my own custom etched dischroic glass. 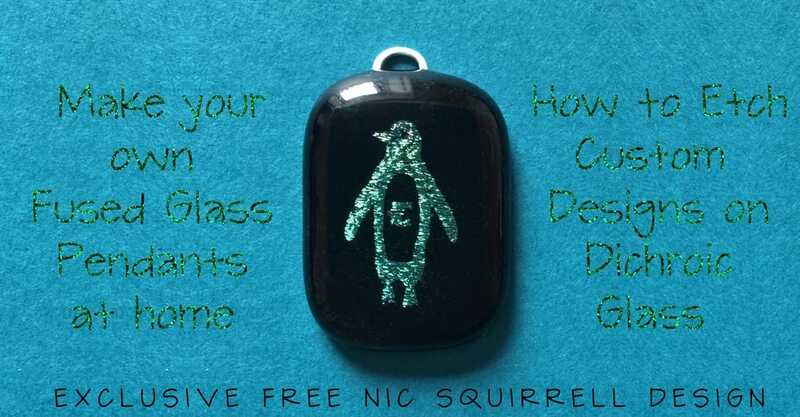 I decided to use our exclusive free design by Nic Squirrell to make a fused glass pendant for my friend's daughter Eilidh. I couldn't believe that it's possible to fuse glass at home without a large and very expensive kiln, but my teacher Karen showed me now with a nifty microwave kiln! A free sliceform snowglobe that can be used as decorations or within a pop up card. They fold flat for postage or storage and need no glue. Different shapes can be hooked inside, including the Christmas tree shared earlier. A free Christmas tree sliceform that can be used as decorations or within a pop up card. They fold flat for postage or storage and need no glue. I've included different sizes in the free download as scaling would cause the slot thickness to alter. I'll also be back on the 11th to share with you the sliceform snowglobe. Tutorial includes free files and shows you how to use the sketch pen fill options to make line art typography. A tutorial for split letter monograms. 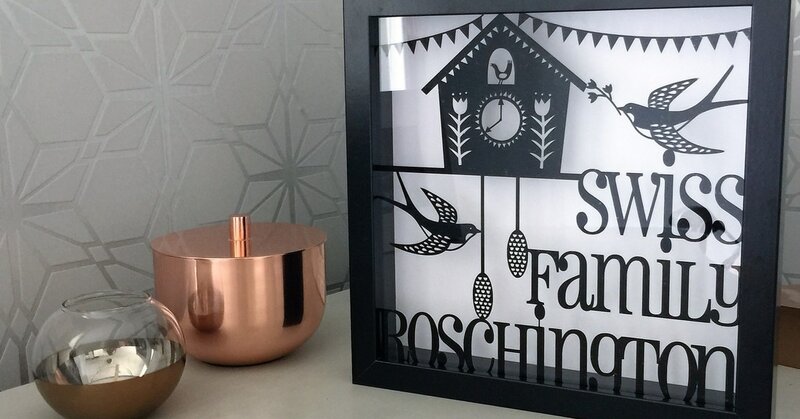 These are really versatile - you can make plaques or tiles using vinyl or etch the monogram into drinking glasses. I incorporated the monogram into part of a bigger design for return address stickers or stamps. 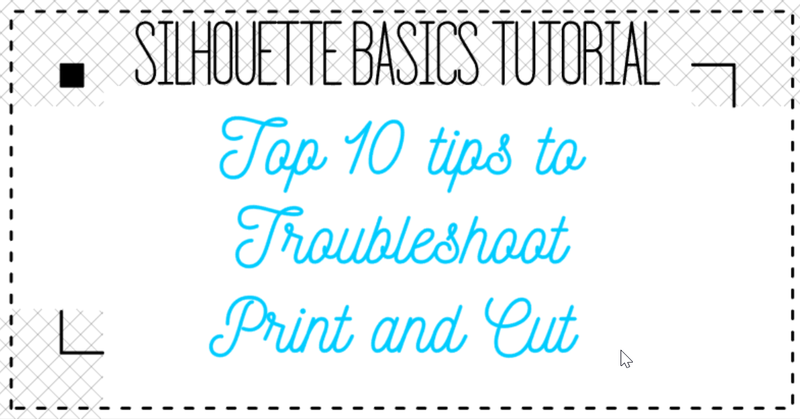 A Silhouette Basics tutorial with my top ten tips for mastering Print and Cut every time. I hope these tips will help you troubleshoot any issues that you may be encountering, or prevent them in the future. A tutorial showing you how to do double-sided print and cuts. 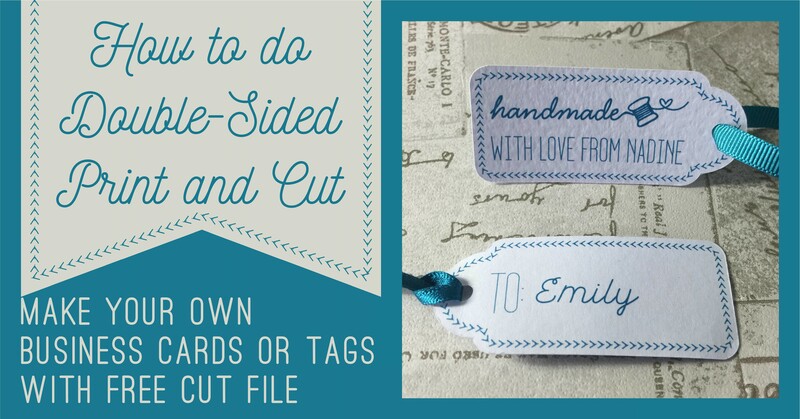 All steps are covered, but I've also included a free download which has front and back cut files ready for you to simply drag and drop your design allowing you to make your own double-sided labels or business cards very quickly. Silhouette Basics tutorial on the align tool. I've made a little cheat sheet to help illustrate what the various options do. If you'd like to print this out, you can download a PDF here. For the seasoned pros reading, I have also included some hints and tips for usign the align tools in an advanced way, such quick tricks for aligning side-by-side and also specific distances apart. A tutorial to show you a technique that can help with cutting very dense or hard media. If you've not played with shrink plastic before, it's really fun. You start with a sheet of plastic that looks like regular acetate, draw and cut out your shape and then pop it in the oven. Then the magic happens, it shrinks to 7 times smaller, yet 7 times thicker! 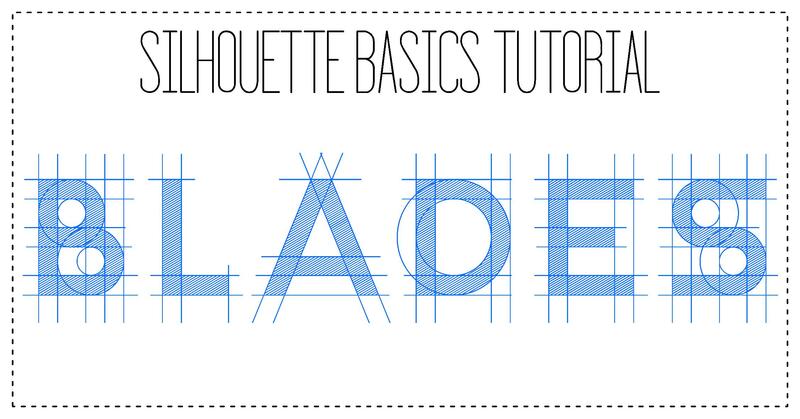 A tutorial all about your Silhouette Blade. I have tips from an expert on cutting here in the UK called Harry. These tips, along with those from Brian, the fantastic technican at Graphtec, have made me more confident with how I use my blade and settings, ultimately giving me better cuts. 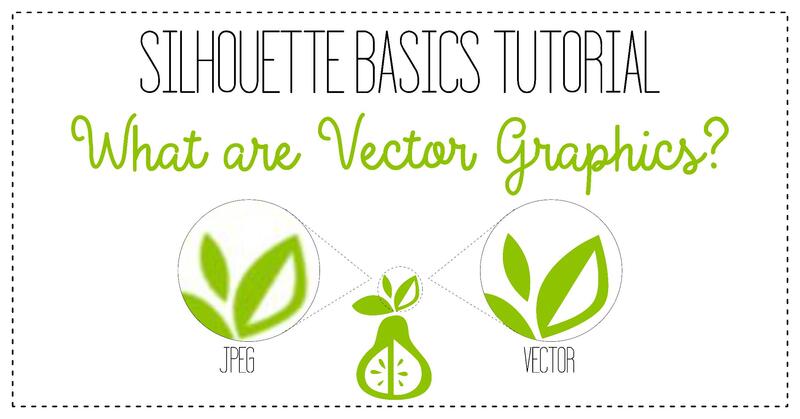 Silhouette Basics - What are Vector Graphics? 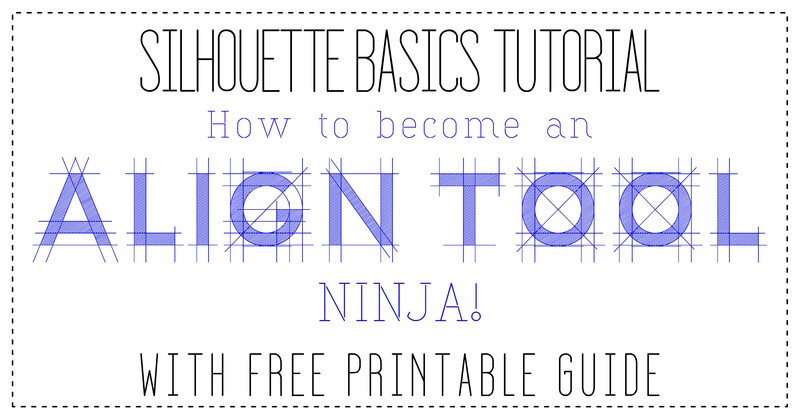 A Silhouette Basics tutorial on vector graphics. Silhouette Studio uses vectors which can seem alien to people who haven't used graphic design software before. Trust me though, the Silhouette Studio software is very accessible and can let you design and make truly wonderful creations. A little plaque I made for my granny's birthday. I decided to decorate an acrylic plaque with some coral coloured vinyl. As acrylic is non-porous, it's suitable for the wet application method. In this technique, a little water spritzed on the surface helps when applying vinyl as it allows a little play when aligning and it also helps prevent air bubbles. As my design fills the plaque, I also have some hints for appligning the vinyl. A tutorial on cuttting photographs with your Silhouette. 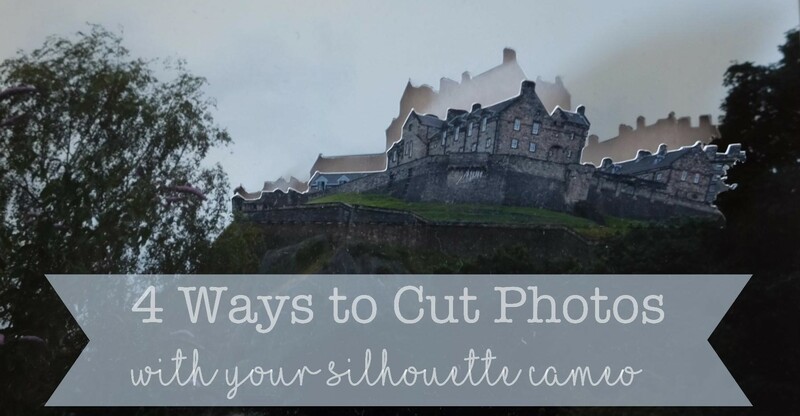 Whether you have a printed photo you'd like to cut, or a digital photo you'd like to use in your projects, the Silhouette has lots of handy ways to easily help you. When I stumbled upon tangrams in Pinterest, my heart skipped a beat. I'm a sucker for modern geometric designs, so when this is combined this with a maths puzzle, well I'm seventh heaven! Literally seven as it goes; a tangram is a square cut into seven pieces - triangles of various sizes, a square and a rhomboid. You are given an outline of a shape and you have to rearrange the pieces to make to the shape. A fun hologram viewer and free cut file. I came across this project from a tutorial which used an old cd case, a stanley knife, graph paper and tape. 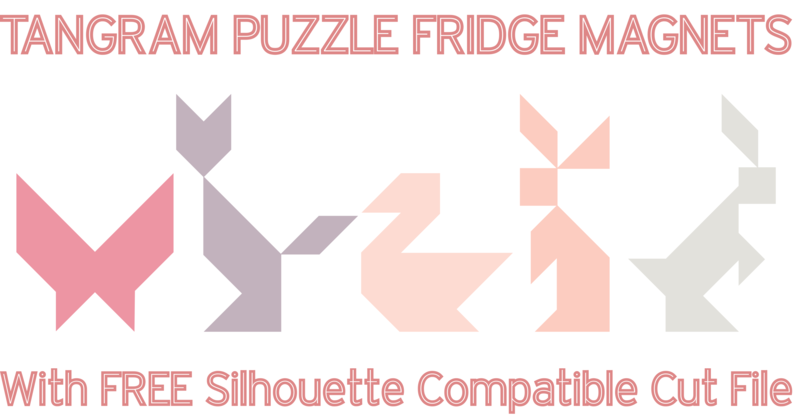 I was super keen to try it out, but I instantly thought that surely it would be quicker, easier and neater to do this with the help of my Silhouette. 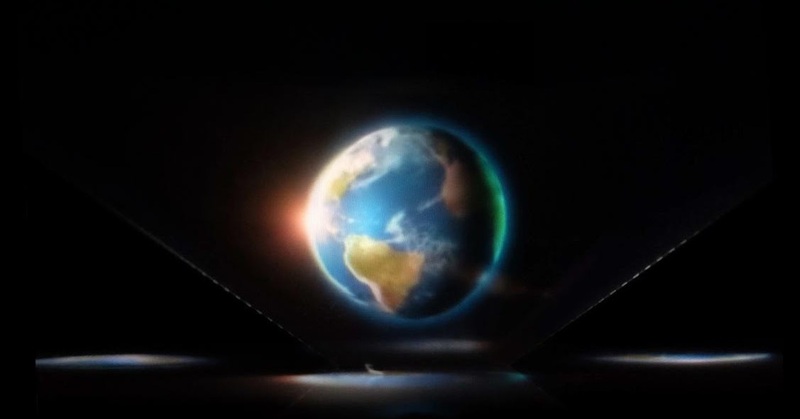 This is a fabulously fast project - you can be playing with hologram videos in just 6 minutes from clicking the link here. My filigree fill design is surprisingly simple and it's really just about understanding the tools in the Modify Window - compound paths combined with welding and cropping. Last week I showed you how to convert any font into a stencil version so that you don’t lose the internal circles and loops. 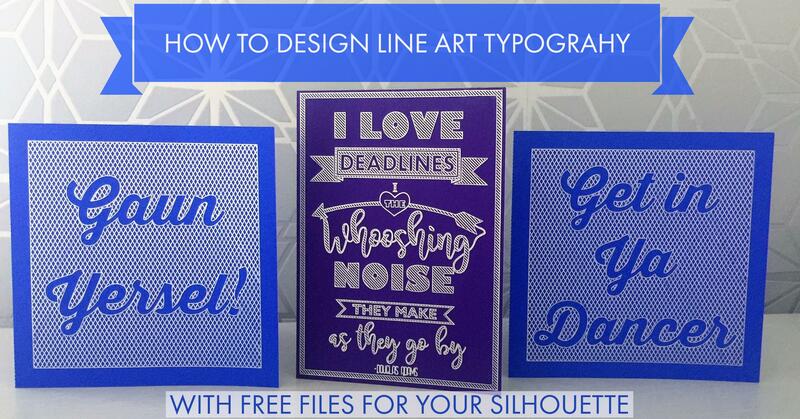 In this tutorial, I use the free font called Stencil Silhouette UK that I shared in the tutorial that you can download from here. 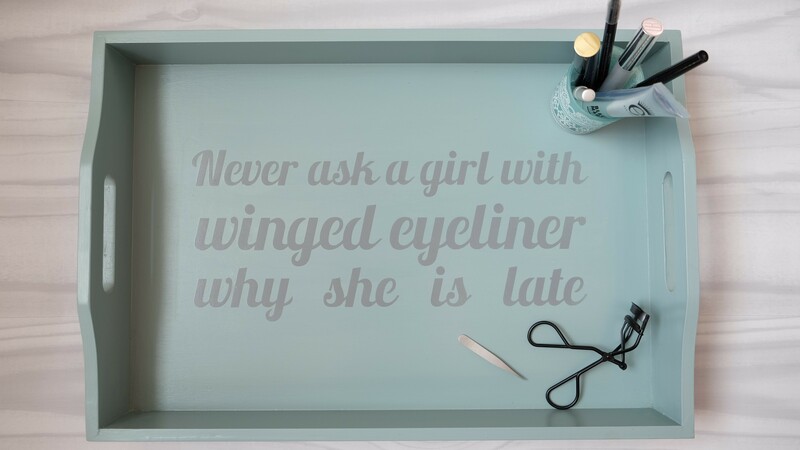 I’ve included the eyeliner quote as a Silhouette Compatible file in the download for ease. A little video tutorial to show you how to convert any font you like into a stencil. This is needed when cutting out lettering from our paper, but when we want to keep the internal circles, called counters, in letters such as a and e.
My stencil version, of the Lobster font, called Stencil Silhouette UK is available for free download here . A tutorial on how to make no sew appliqué with embroidery style heat transfer vinyl (HTV) edging. 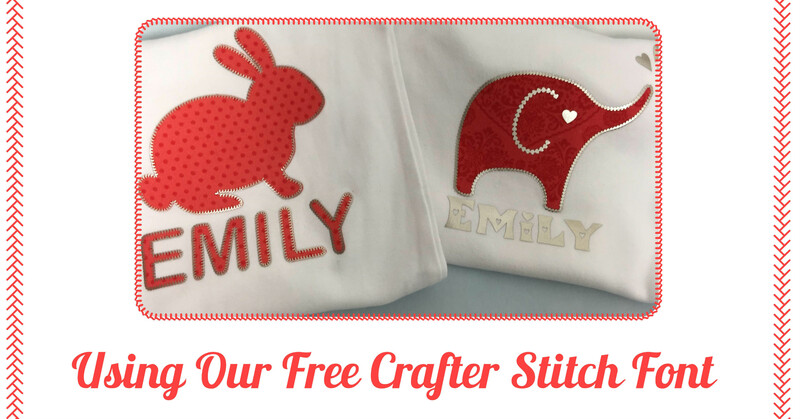 This tutorial builds on my last two, as it works in much the same way as my earlier appliqué tutorial here, but rather than a plain border, we will use my free Crafter Stitch font covered in this tutorial to create a fancier embroidery style edge. I'm super excited to show you the new font that I created called Crafter Stitch which is available for free download here. Today we will cover how to curve the stitches around shapes and other handy tips. There are many applications, including print and cut for both regular and transfer paper for t-shirts. a Father's Day card tutorial using our free Silhouette Design of the Week. I had some of our family tartan left over from another project, so decided to see if the Silhouette could cut it. As it's a thick wool, I feared that a clean cut would be difficult, but it worked wonderfully, so I'm already plotting lots of cushions and interior design projects involving yummy wools and tweeds! A tutorial for no sew appliqué with simple Heat Transfer Vinyl (HTV) edging. 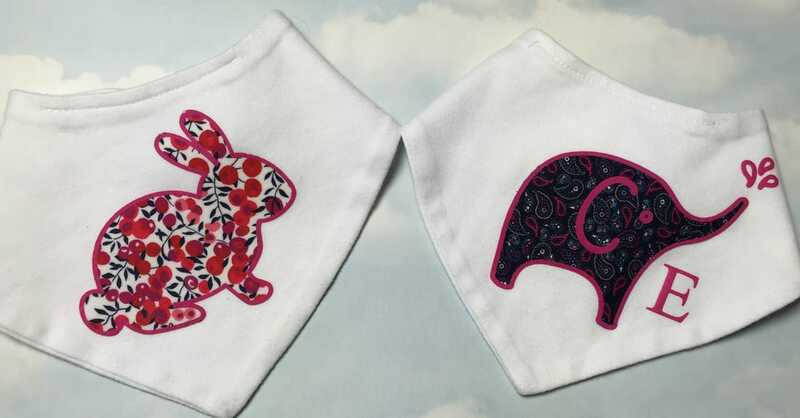 The fabric has a fusible fabric stabilizer and the HTV creates a nice clean edge to the design. A tutorial for this week's Free Design, which is a vintage style set of 'Admit One' tickets. 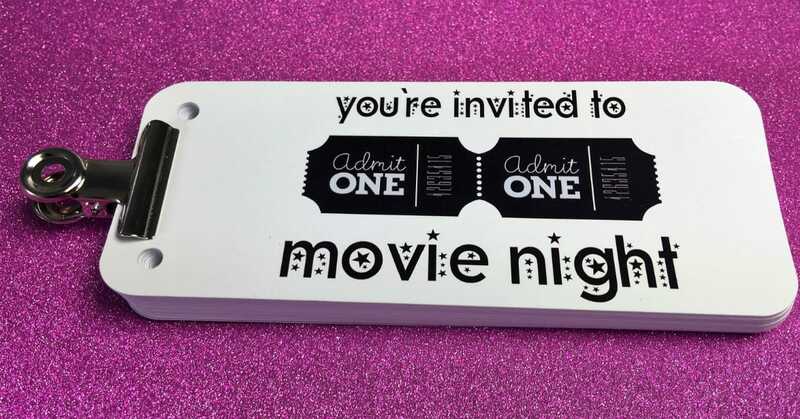 I thought they would make a nice invitation to a movie night. Vintage movies reminded me of the flipbooks we used to make as kids to animate a little stick men running. The flipbook spells out the message 'Lights, Camera, Action It's Movie Time'. 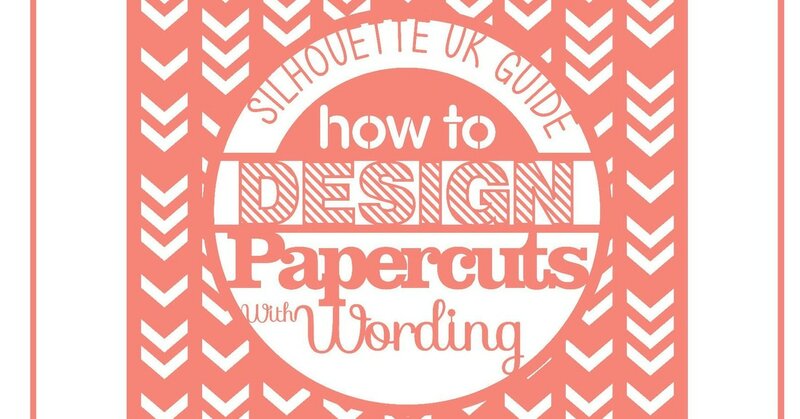 Part two of my paper cutting tutorial. In last week's tutorial, we covered general principles and the different approaches and fonts that can be used. 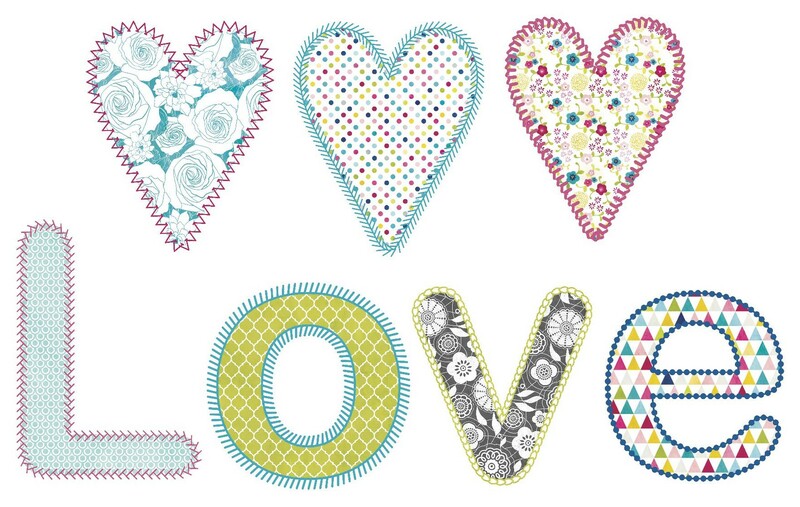 This week, it's a practical step-by-step guide to make a bunting style paper cut. A guide to designing papercuts that incorporate wording. I am addicted to beautiful fonts and in this tutorial I'll give you the lowdown on how to use different typefaces within a papercut design. In the picture to the left, I have used a number of different fonts and techniques and we will cover them all in this tutorial. 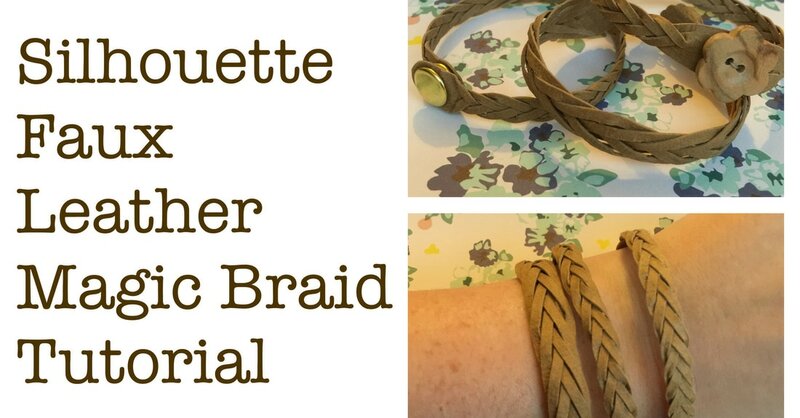 A tutorial making mystery braids using Silhouette's new faux leather paper. A mystery or magic braid is a plait that is closed at both ends. Rather than separate strands, it is made from a single piece of leather with evenly spaced slits. This is particularly handy for belts, bracelets and hairbands, as it creates a stronger and neater finish than a regular plait with loose ends. 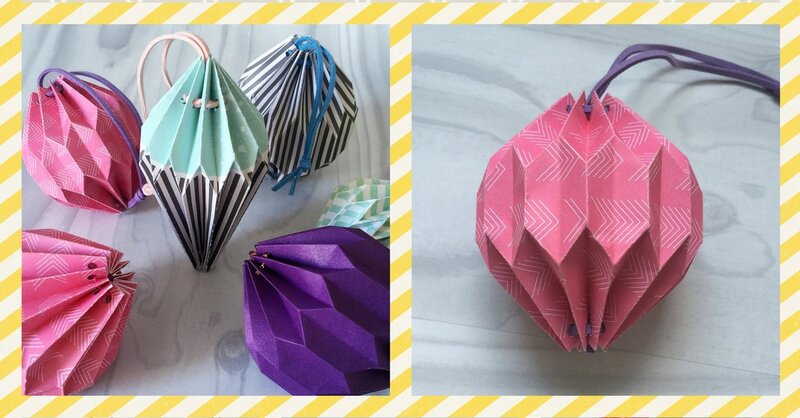 Origami lanterns with a free Silhouette file that cuts and scores all the necessary lines and holes for two designs that can be altered to give many variations. 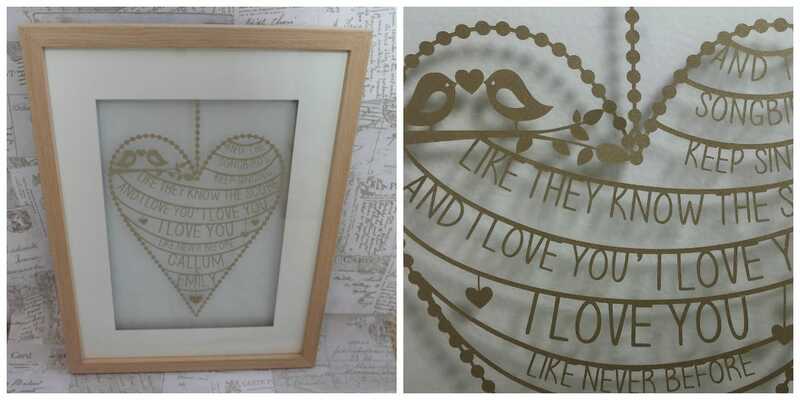 Can be used as decorations, to hold little gifts or notes or indeed scaled up to make lampshades. 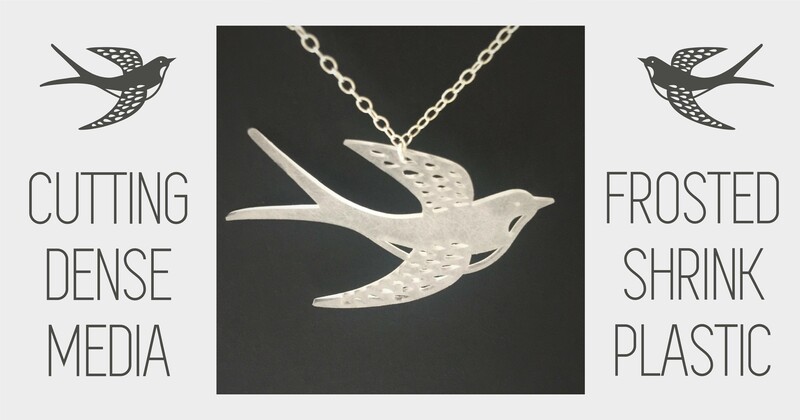 In my design, I combined some gorgeous bird and cuckoo designs by Nic Squirrell from the Silhouette Design Store. Rather than concentrating on the design elements, this tutorial will focus on the technique for successfully applying the vinyl design to the glass. 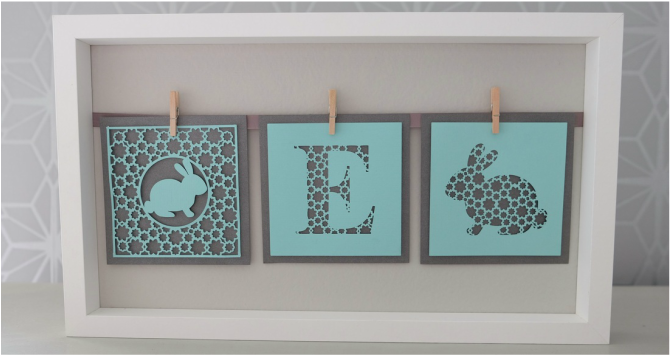 A fun kids' print and cut project for Easter. 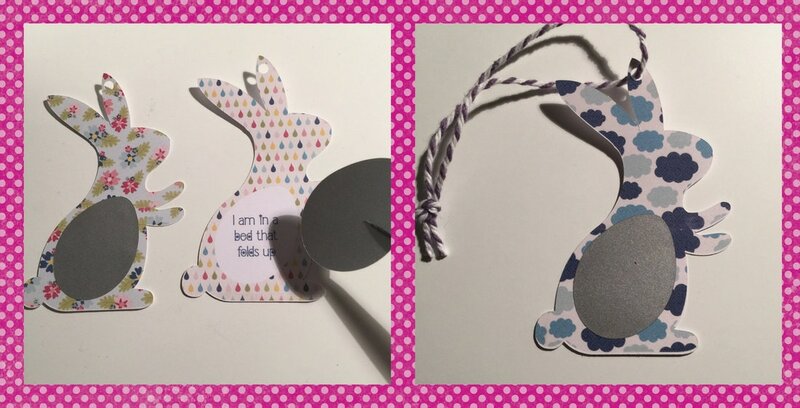 We increased the excitement of a chocolate Easter egg hunt by making custom bunny tags and hiding the clues behind scratch-off media. We also made special easter boxes using the Silhouette Cameo for the eggs. When we received the Silhouette faux leather paper to play with, I was totally intrigued. It cuts as card, but can be washed and sewn like fabric. When washed by hand or in the washing machine, it becomes softer and takes on the texture of leather. 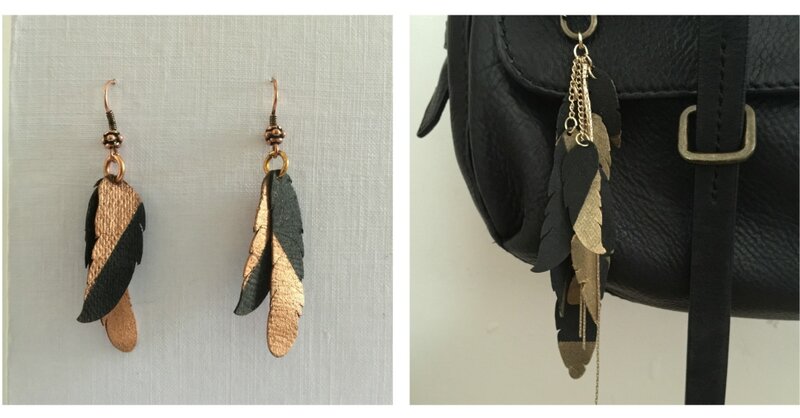 I liked the idea of delicate items being made out of this tough and somewhat masculine material, so decided to make some feather earrings. I've been having lots of fun with Silhouette's scratch-off sticker sheets. 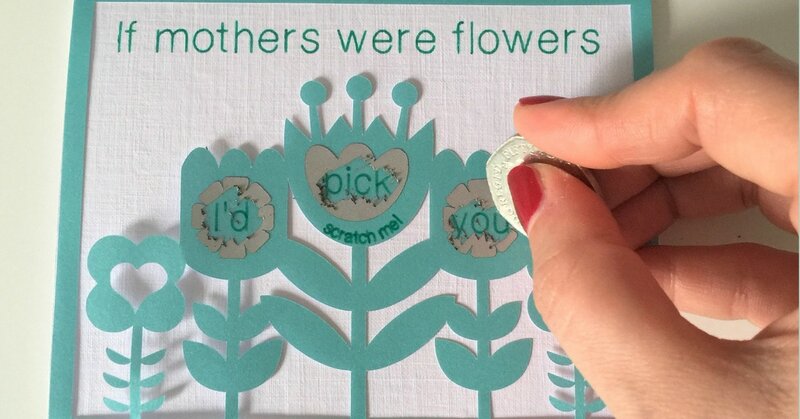 Using the Silhouette, the stickers can be cut into any shape you like and then placed over the message you'd like to hide. 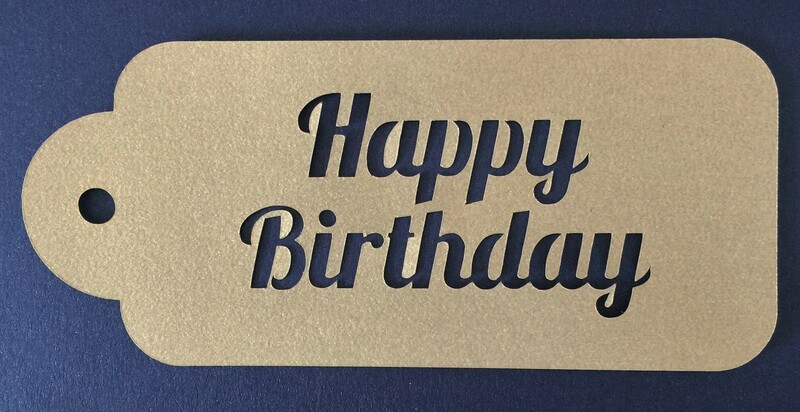 When scratched, the opaque coating is removed and your message is revealed, in much the same way as a a lottery scratch card.